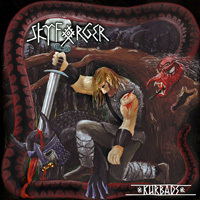 Skyforger have been tempering their music in the smithy of the Thundergod since 1995. 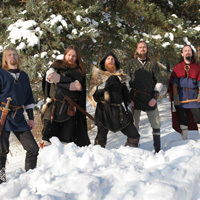 For the last decade, the band has been fighting under the flag of Latvian Pagan Metal; an extreme blend of traditional Baltic Folk music and various metal influences ranging from Norwegian inspired black metal through to 80s-rooted heavy metal. 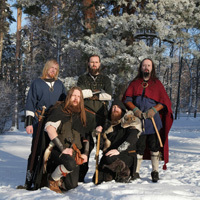 The band’s unique combination of ancient and modern influence has given them a wide appeal throughout both the metal and folk scenes, and has brought great variety to their song writing over the course of the five Skyforger albums. The first of these was unleashed from the forge in 1997. 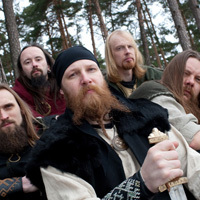 Titled Semigalls’ Warchant, the demo album told tales of the last free Pagan tribes of the Baltic peoples and their struggles with Christian invaders throughout the thirteenth century. 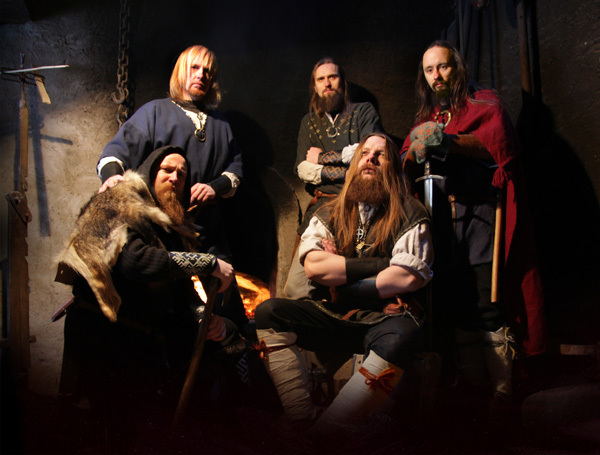 The album’s music is heavily inspired by the Scandinavian black metal of the early nineties. Harsh and cold, the extremity is balanced by traditional Folk instruments, which anchor the venomous brutality firmly in the past; never losing sight of the ancestral legends the music seeks to describe. 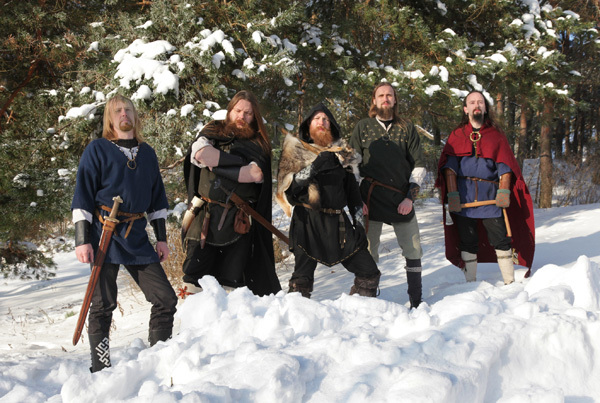 These tales of ancient tribal Latvia and its Heathen tradition were to be expanded upon in Skyforger‘s first CD, 1998′s Kauja Pie Saules (The Battle of Saule). Later in 2000 followed their third release, the First World War themed Latvian Riflemen. 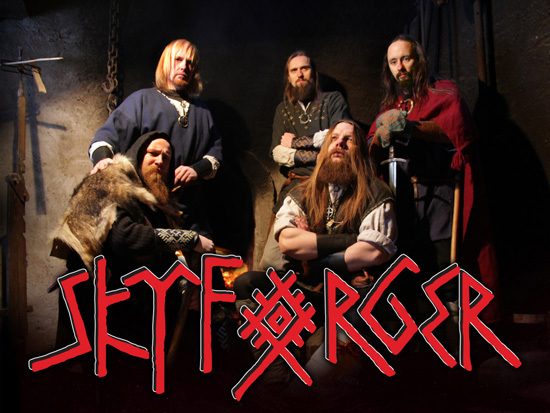 At the end of 2002, Skyforger signed to German label, Folter Records, and soon the world saw the release of their Pagan metal masterpiece, Thunderforge. 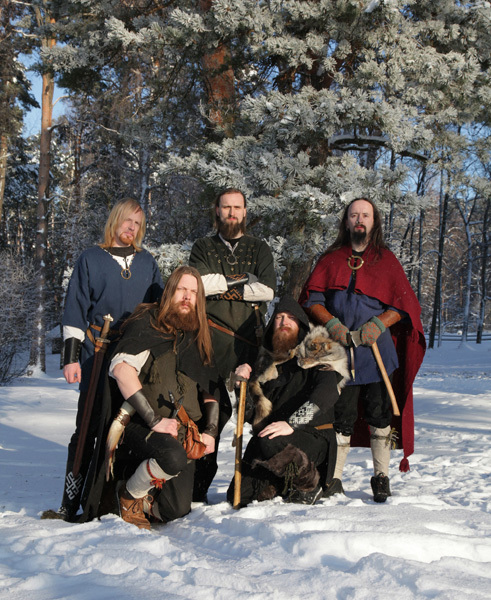 The album was considered a fine return to their old themes of ancestral culture and heathen gods. The album successfully recaptures the spirit of ancient Latvia; this time eschewing specific historical tales in favor of describing the ancient Baltic traditions, myths and wisdom. The music is powerful, precise; perhaps slower overall than previous offerings, which gives each song an unhurried strength – imbued with Pagan fire and crushing might. 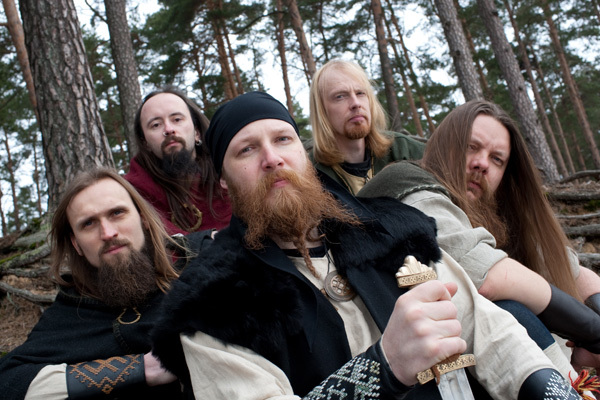 The next album in line, recorded also in 2003, was the self-released Sword Song, an album of purely acoustic Latvian Folk music and a long coming tribute to their ancient forefathers’ heritage. In 2005, Folter Records released Semigalls’ Warchant album on CD format. It features every track from the band’s original demo (a rarity long since out of print), which was completely re-mastered and combined with a brand new EP written especially for this release. 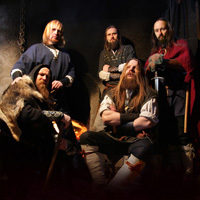 The new material presented Skyforger‘s music after a decade of evolution; with a richer sound and an even stronger fusion of melodic folk music with their unique brand of extreme metal. Through the years, Skyforger has been busy on stages all over Europe. Multiple European tours as well as many festival appearances have solidified the band as an uncompromising live act. In the last few years, Skyforger began work on a conceptual album about the legendary Latvian fairytale hero, Kurbads, who was born magically from the white mare and did many great deeds. This album will be Skyforger‘s debut album and will be a stellar installment in the band’s catalogue as well as a fitting introduction to the hordes of metal fans who have yet to hear what Skyforger has to offer.